← Your home insulation or how to act on thermal bridges? Across the UK more and more people are turning to home grown fruit and vegetables, be it in their garden or at their local allotment. Many also want to stay clear of using pesticides but find smaller fruit and a lower yield often an issue without them. In our latest blog we will discuss growing vegetables without pesticides, giving tips and advice on how to become a seasoned green fingered grower. There are many environment problems caused by pesticides. Weeding pesticides enter the water system and contributes to water pollution. Once the ground has been chemically treated, it is more fragile and it can lead to erosion. Once the ground has been left bare and compressed it can become asphyxiated when strong rains occur. Plant roots suffer; pesticides kill micro-organisms and worms which aerate the ground and help plants take up nutrients. Moreover, authorised pesticides for the garden are harmful to your health. Finally, the more pesticides you use, the more you support the production and transport of dangerous substances. From 2022, individuals will not have the right to use chemical pesticides in the garden any more; so why not get used to it and make your garden a lively place with a rich ecosystem capable of making its own immunity from diseases and garden pests? To own a natural garden rich in diversity, you need and try to multiply the different circles…Pesticides find themselves everywhere: in our food, in rivers, in groundwater, in the air, in the soil, in dead and alive biomass. However it is possible to reduce and even totally stop the use of pesticides in our gardens and allotments. Below we provide effective and green methods you can use to replace chemical pesticides. Insert some chives and garlic among strawberry plants in order to protect roots of the latter from mushrooms. Hungry caterpillars can cause a lot of damage to your cabbage patch; by planting sweet alyssum, you will encourage tiny wasps which keep away the caterpillars. 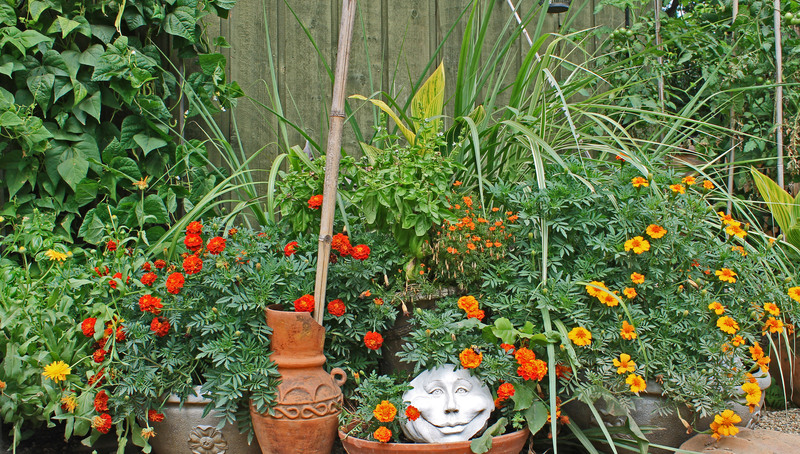 Planting French marigolds at the foot of your tomatoes protects them against nématodes, small microscopic worms which can cause damage, and dill will scare off the black aphids. Tomatoes and asparagus protect themselves mutually against small unpleasant animals and garlic, carrots and tomatoes protect themselves against certain diseases. Basil helps tomatoes’ growth while improving their taste; digitalis support plants’ resistance when growing near them. Planted at the bottom of rose trees, lavender draws aside their parasites, just like the nasturtium which pushes back the white flies and the ants and attracts the plant louses: it is then enough to cut its stems to get rid of these predators. In the event of drought and long exposure to sunlight, vegetables with large vegetation (tomatoes, runner beans etc) offer essential shelter to smaller more fragile plants such as lettuce. Finally, lavender near rosebushes will protect them from aphids. It is possible to make your own natural and environment-friendly pesticides from plant extracts by soaking vegetables before diluting them in water. Manure made with stinging nettles is very effective against aphids, elder manure against voles or horsetail manure can be used as a a natural fungicide. Ash from your chimney will keep away snails and slugs and you can use household soap against aphids. Against mildew simply spray a mixture of horsetail and water (25g of dried leaves for one litre of water). Some eco-friendly pesticides still have to be used with care. It is a very good way to recycle intelligently. 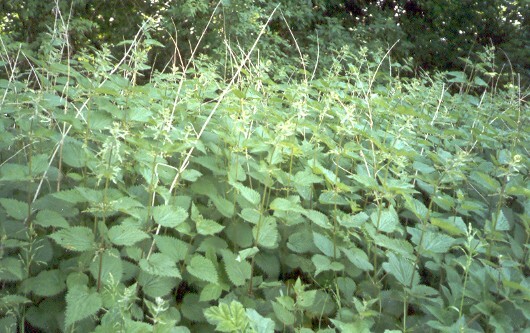 Stinging nettles manure is an effective pesticide but it has other virtues. It can be used as a fertilizer because it stimulates growth and strengthens plants natural immunities. It can be so used to prevent against certain diseases. Wood ashes is a manure very rich in potash and phosphorus which nourishes the garden. All edible leaf vegetables (watercress, spinaches, etc) will love it too! Take ashes from your stove (only from untreated seasoned wood) and keep them in a dry place until you can use them in the garden. If you live near the seaside, while you go for a beautiful stroll on the beach you can collect algae. These green sea plants transmit beneficial substances to your plants, stimulating their growth and resistance to the diseases. Also think of using natural fertilisers with care. Making your own compost can be a fun and excellent way to help the growth of your vegetables. Follow our step by step guide to make your own which uses a mixture of home and garden organic waste. It will improve the profile, quality and fertility of your soil, whilst breaking down into carbon which is essential to microbial life. 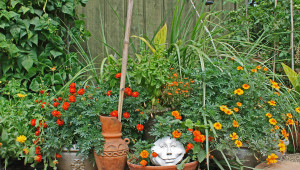 Choose a well-drained and sunny corner of your garden which is easily accessible all year round. Turn the ground over before starting and cover the ground with a row of small branches. Alternate between a layer (around 20 centimetres maximum) of wet waste rich in nitrogen and dry waste rich in carbon. For the nitrogen rich wet layer use fermenting kitchen waste such as fruit and vegetable peelings and leftovers. Avoid using meats, fish, dairy products and greases which do not break down easily and are likely to release substances which inhibit the fermentation process. For the carbon rich dry layer use dry garden waste such as grass cutting, dead leaves and branches, you can also add unwanted paper and cardboard, but this should be shredded before adding to help the break down process. Add ripe compost (made 6 months’ ago) to accelerate the process. Mix each new layer with that of the lower part to encourage the micro-organisms and speed up the composting process. Turn the heap over regularly and sprinkle it: to break up, materials need air and moisture. Cover the compost to protect it from the cold as well as strong wind and rains. 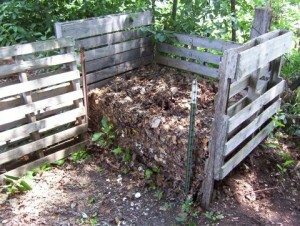 According to the season, the compost can be ready between six to twelve months. A good compost looks like earth, it does not smell and is consistent. Compost is spread on the surface and is mixed by light digging. Earthworms and micro-organisms will also help mix it in to the ground. In a small garden, you can use a compost bin made of boards or logs, bricks or mesh wire, the important thing is that it lets the air through. There are some tricks to naturally trap intruders who are crazy about your plantations and encourage wildlife in your garden. 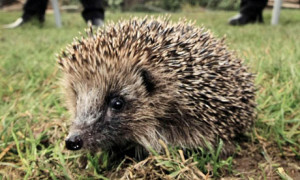 It is well known that ladybirds are precious allies in the biological battle against aphids but did you know that if you adopt a hedgehog, it will help you eliminate slugs? They are crazy about it. You can attract these night hunters with pieces of apple for example and offer them a shelter in a large quiet bush that nobody will come and cut. So why not give some of these ideas a go. It’s great to grow your own fruit and veg and at this time of year it’s perfect weather to be out enjoying your garden or allotment. Let us know how you get on or tell us of your top tips by using the comments form below.